In the Lower School Spanish Program our children are learning Spanish as a foreign language. It is not a total immersion program which would only be possible if we have Spanish every day, all day and if every single class would be taught in Spanish. I created the program keeping in mind the needs and particularities of a wide variety of learners. It is child--friendly, child-centered and it focuses on language learning 70% percent of the time, dedicating the other 30% to global/ cultural learning. 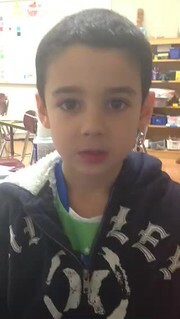 In this program our students are exploring the language through a series of learning units (that have been specified in the curriculum overview at the bottom of this page), which have been carefully designed to progressively advance our students in the learning of the language as they grow and progress into the upper LS grades. 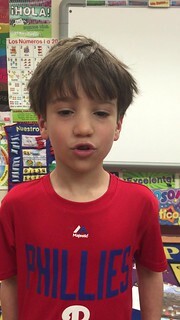 The program is designed to instill the need of communicating in Spanish in different possible scenarios, which are always relatable to them. The units have a lexical, a grammatical and linguistic component. Each of these components embeds somehow into the next learning unit. Those students who start learning Spanish with my curriculum during the early elementary years (Pre-K and Kindergarten ) gradually learn a large amount of vocabulary and are taught explicitly, how to produce certain communicational patterns. The goal is that they feel comfortable and feel safe enough with given speech patterns so they can improvise and create later on. Click on our little Salvadores Dali to be directed to the LS Spanish fabulosa, creativa y completa galería de fotos! When an acrobat learns to glide on the flying trapeze, he or she uses a net in case of a fall. After performing the maneuver dozens if not hundreds of times in practice, the acrobat becomes comfortable and confident. Then, by the time of the performance, the trapeze artist barely notices the absence of the net. Learning to communicate in a new language is just like learning how to glide on the flying trapeze. In order for the content to be internalized, so it can be meaningfully and creatively produced, there must be a process and certain steps must be taken. More over, there must be a safety net or as I like to call it, a scaffold. Si! This is an answer that all the chicos y chicas participating of the LS Spanish program can confidently utter by the end of each school year. Keeping in mind of course, the different levels of competence, their age, and personal learning characteristics, all students can communicate (speaking being one of the main channels) by the end of the year. We are talking about meaningful communication which means knowing how, what and when to say something. It means real language production, which is completely different from just repeating memorized patterns and then quickly forgetting them. Communicating in a foreign language is a very personal complex process and there are many layers to it. When it comes to orally produce the language, the skill implies not only the ability to reproduce the sounds of the target language, but also the confidence to speak it and be able to improvise with the new provided content. At the same time, speaking is one of the most challenging aspects of communication because of the many emotional filters involved in the process. Personal characteristics such as risk-taking, creativity, listening skills, memory skills, self-confidence and levels of extroversion, affect language production profoundly. In this process, understanding without actually communicating in the target language happens first, this stage is quite similar and it happens almost simultaneously for every learner, but communicating, expressing in the target language is a completely different story. That is why my classes are not taught completely in Spanish. The goal of the program is to create communicational bridges and there is no real communication if the child listens quietly and is not able to meaningfully express in the language as well. We do not really “know” a language by just hearing it, we get to “know” it by practicing it and using it. Our students are provided with safety nets (English is spoken so they can understand what is going on in the class) that are gradually removed as they become confident in the use of the language. This process is very personal. There are kids who speak from the first day they meet me, and there are others who need continuous encouragement, reinforcement and sometimes a little push. No child is left behind in this process. Learners who need a little bit more time to produce are given the time and are continuously encouraged to move to the next step. Ultimately, the main goal for me, is to make children feel safe and capable. The lessons and class commands are appropriately scaffold in order to be intelligible and later one reproduced by the children. The amount of target language used in the class always depends on the grade level and also the personal characteristics of the group being taught. For all these reasons, the instruction of the language is rather specific at the beginning of each unit. The amount of Spanish used in class increases, as they move from one grade to another and the vocabulary and grammar grows in complexity as the previous content is consolidated and internalized. Finally, and you probably must have heard this from your kids, one of the aspects which is emphasized the most within the curriculum is pronunciation. Why? Because the children are at the perfect age to develop a critical ear and to produce native-speaker-like sounds. One of the things that fills me with joy and also makes me really proud, is that our kids learn to differentiate really well between the sounds of Spanish and English and even more, most students (depending on personal skills of course) can produce the sounds of the language in a very similar way to a native speaker. Please do not feel offended if they correct you or someone else. If they do, it means they have taken ownership over the language, which is the purpose of my class. Our kids start to build simple sentences and improvising with the provided given patterns early on the program. Then those sentences turn into two, three, four or five sentences and so on. The secret is always time, patience and a good safety net. "Great results cannot be achieved at once; and we must be satisfied to advance in life as we walk, step by step." 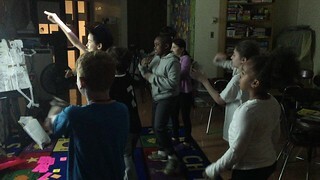 The idea is that students keep Spanish alive by making it their own, taking it outside my classroom by speaking (singing) it at home, in their homeroom classrooms and everywhere they feel like it. Families, you have no idea how happy you make me every time you share a story about my little Spanish Ambassadors speaking Español out there in the world, even when it is used to criticize a dinner choice with the expressions "No me gusta!" or "Guácala!" Look at it this way, they are using Spanish to express true feelings! 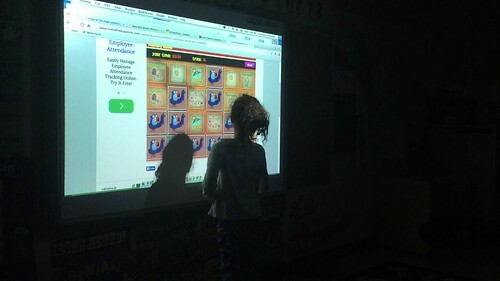 Most vocabulary, which is the foundation of our learning units, is introduced and memorized via games or songs. Students learn since their first Spanish class that they are supposed to actively participate in the learning experience if they want to learn Spanish. In my classes songs are not learned just because they are cute and appealing, but because it has been proved that singing (usually accompanied by movements or gestures that aid memorization) importantly enhances the language learning experience. "A new study provides the first experimental evidence that a listen-and-repeat singing method can support foreign language learning. Singing in a foreign language can significantly improve learning how to speak it, according to a new study"
Watch Pre-K students playing the memory game, congratulating each other with the expression "En llamas" "On fire" every time they get it right, and 3rd graders who can't stop singing the vocabulary related songs each time the word appears in the memory game. 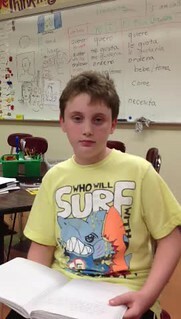 Below you'll find several clips of students from different grade levels using Spanish in different scenarios. They are singing or using the iPads as mobile language labs to memorize vocabulary. They speaking about their feelings, rehearsing for the Spanish Assembly or acting a skit that was created by them. In order to arrive to the spontaneous speaking level, there was a lot of practice and baby steps walked. The scaffolds (safety nets), used to aid them at first, were taken away little by little and the vocabulary and speaking patterns were practiced continuously in order to be internalized and not merely repeated to be quickly forgotten. There is a large body of research on the relationship among attitude, motivation, and language learning (see Gardner & Lambert, 1972). Most research done in this area has shown that personality factors have been correlated positively with success in learning foreign languages. These include the willingness to take certain kinds of risks, good pattern recognition skills, tolerance for ambiguity in a number of situations, and an outgoing and social nature. Moreover, learners of a foreign language are more successful if they understand the need to learn the language, and if they are motivated to do so (Wong Fillmore, 1985). Indeed, the more positively the learner feels toward the language, the speakers, and the culture associated with the language being learned, the greater the progress that is made. The LS Spanish Program's main goal is to turn the students into lifelong Spanish learners. find their own way, taking charge of their learning. be creative, developing a “feel” for the language by experimenting with its grammar and words. make their own opportunities for practice in using the language inside and outside the classroom. learn to live with uncertainty by not getting flustered and by continuing to talk or listen without understanding every word. make errors work for them and not against them. use linguistic knowledge, including knowledge of their first language, In learning a second language. use contextual cues to help them in comprehension. That is why discussions about growth mindset, neuroplasticity and mindfulness are held in the Spanish classroom, because they help our kids become self-regulators, risk-takers and take ownership of their own learning experience. Take a look at some of the clips that have been watched in class. School life can get a little hectic for all of us. Therefore, daily tasks that seemed easier before, might become a little challenging because of the emotions and thoughts crowding our minds. Inspired by the video below, I decide two years ago, to bring a little mindfulness practice to our classroom. A settled mind and a settled body are key in the process of learning. Community, meet our class Mind Jar! The mind jar is a simple tool that helps kids (and adults) appreciate mindfulness. 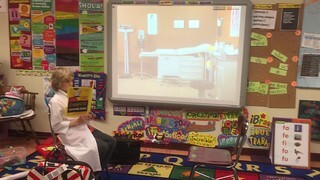 I have had all classes from Pre-K to 4th grade, watched the video to introduce the topic. 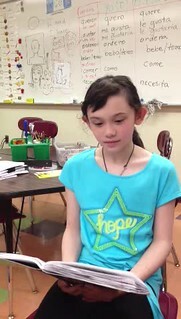 The video is followed by a talk about the benefits of settling down the body and the mind before beginning a class. At the end of the video we usually take 3 guided deep breaths. I made my own jar to use as I reminder. Now, the kids are welcomed to my class with meditation music and I the jar is always at sight. Currently, all classes enter my classroom in silence and sit on the rug in Sukhasana pose. We proceed to breath and have different volunteers guiding the mediation in Spanish. I have included links to one blog that I explains very well what a mind jar is and also the blog where I got the recipe from. It's great for home too! I know some of our little ambassadors are taking this practice home and teaching their families. Thank you for sharing those stories with me! Global Education seems to be a trending topic among fellow educators and administrators who are committed to change old educational paradigms and transform their schools in the schools of the new century. What is global education all about? The goal of global education is to encourage and prepare students to become active participants in the shaping of a better future for our planet. It emphasizes the unity and interconnection of humanity. It helps develop a sense of self and appreciation for cultural diversity. It fosters respect for social justice and human rights, and as a consequence, triggers the building of peace and actions that will create a better future in different times and places. Global education challenges students to take responsibility for their actions and it encourages them to see themselves as global citizens who can actually contribute to a more peaceful, fair and sustainable world. The learning of a language is a key element to global education. The idea is not only to introduce kids to a new way of communication but also to new places, so they expand their idea of home and new people, so they expand their concept of friendship. When kids are meaningfully introduced to new places and new people, they are being presented with new ways to make a difference and as a result the world becomes a better place to live in. Once children change the way the see the world, they world they see has a chance to change in a positive way. The LS Spanish curriculum enables kids to explore, connect and reflect upon different cultural scenarios. 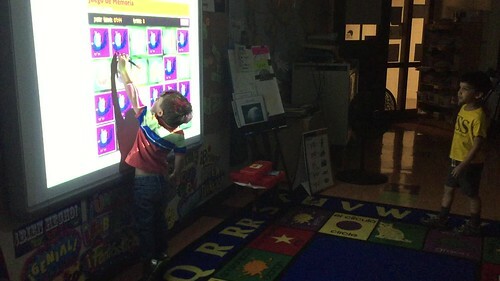 It enables them to make connections between their world and the worlds of the different Spanish Speaking countries they virtually travel to. · Globally aware by broadening their understanding about geography, history and culture. · Global citizens by helping them build connections with the inhabitants of those geographical areas, turning their causes and their issues into their own. Thus planting the seeds for future volunteer service or participation on different organizations. · Humanitarians by providing them with learning experiences that help them acquire their own perspective and will make them aware of their personal power to create change and become leaders. That knowledge meaningfully connects them with people living in 21 different places ranging from the tip of the Patagonia to as far north as New York City. It connects them with 21 different ways to see the world. It connects them with a large amount of neighbors living in their own country. It connects them with causes and human beings, different and so similar at the same time, that their minds begin to wonder if they are actually any different after all. I have always been interested in incorporating 21st century standards in my curriculum design, and even more so after attending the ACTFL 2012 ANNUAL CONVENTION AND WORLD LANGUAGES EXPO. ​Not only I got to meet and share ideas with amazing Language Educators from the whole country, but I also was lucky to meet with people who work behind the curtains creating Global Educational projects for the Department of Education. They were impressed our students were getting started in the 5C's at such an early age. "The communication standard stresses the use of language for communication in "real life" situations. It emphasizes "what students can do with language" rather than "what they know about language." "The World-Readiness Standards for Learning Languages define the central role of world languages in the learning career of every student. The five goal areas of the Standards establish an inextricable link between communication and culture, which is applied in making connections and comparisons and in using this competence to be part of local and global communities. ​The World-Readiness Standards for Learning Languages create a roadmap to guide learners to develop competence to communicate effectively and interact with cultural competence to participate in multilingual communities at home and around the world." Our LS Spanish Program was designed and is constantly upgraded so our students, according to their level, continuously and enthusiastically put the 5 C's into practice. Below you'll find a few highlights and newsflashes related to our cultural/global units where the 5 C's are meaningfully intertwined. Also, click on the picture to find out more about the “Once:” An Evening Snack from Chile and how the family behind the blog Kids World Citizen, experienced this healthy after school snack tradition in their home. ​The Lower School Spanish Program aims to provide kids with experiences that will connect them significantly with the country they are learning about. Experiences they will never forget. Whenever we have a virtual or real visitor coming to the Spanish class, it is these two C's that become alive. Communities: Extending learning experiences from the world language classroom to the home and multilingual and multicultural community emphasizes living in a global society. Activities may include: field trips, use of e-mail and the World Wide Web, clubs, exchange programs and cultural activities, school-to-work opportunities, and opportunities to hear speakers of other languages in the school and classroom. Last year fourth graders (and me) had the pleasure of meeting Tr. Michael's daughter, Milan. It all started when I met her mother Trina at the School Auction last year and found out she had lived in my homeland for while. It was then when I thought to myself "I need to invite Milan to meet my fourth grade class!" One of the best ways to learn, or to put a language you have learned, into practice is by traveling to a country where the language is spoken. My classes not only aim to acquaint children with the language and to make them culturally sensitive, but also to instill a wanderlust that hopefully will take them one day to visit one of the 21 locations in the world, where Spanish is spoken to complete the experience. I couldn't have found a better qualified person to come help me instill the passion for traveling and language learning than Milan! She prepared a wonderful presentation and talked to the kids about her experience with the Chilean Spanish, her reality living with a Chilean family, her journeys and adventures (sandboarding, hiking through mountains, the desert and geysers) within the country, the food, the people and all that is good an exciting about living in a foreign country. The students, who had been previously exposed to background information about the country, asked her interesting questions and wowed every time she showed a new picture.Someone even dared to ask "How many empanadas did you eat while you were there?" to which she replied "I'm not answering that" followed by a choir of giggles in the audience. The students were delighted, and engaged. They kept talking about the presentation and a possible visit to Chile in the future, even after she left! ​Not only was Milan a natural, super fun presenter, but also an inspiration to our future globetrotters. They came to share and talk to us about a typical Argentinian tradition which is mate drinking. Learn more about it at the Facebook FSS page by clicking on the title to be directed to the post. Frida is not only one of the most iconic modern artists but also a remarkable woman. Her personal story is an example of will power and resilience. Living in physical pain most of her life, she chose art as a coping mechanism. Her paintings depict her political ideas, her inner fears and desires and her self-portraits are the landmarks of her self-discovery journey. For these an many other reasons, first graders who study Mexico in the cultural unit, fall in love with Frida and her art. Learning about Kahlo is learning what Mexico is all about, struggle, beauty, passion and the conflict between traditions deeply rooted on ancient civilizations and the new world. Here, two of my amazing first graders, surprised me by coming to class dressed as Fridas. Learning in action! Learning about The Maya Civilization is one of the highlights of of the third grade cultural curriculum. Around fifty percent of the population in Guatemala, the country of study, is pure Maya, direct descendents of the ancient Mayans. The rest of the population there if not pure Maya has some Maya ancestry. Guatemala is a place where the old coexist with the new and were ancient traditions are at risk of disappearing in the future because the the westernization thus the lack of respect for the use of Mayan dialects and traditional clothes. Guatemala is not the only country with a large amount of indigenous population. So learning about the Mayans who inhabited part of Mexico, Belize and Guatemala actually open windows of understanding about different indigenous groups who populated America before the European arrival. Learning about the ancient civilizations and indigenous cultures, who inhabited America before the arrival of the conquistadores, creates an awareness and a sense of respect for their descendants. It helps students open their minds and tear down noxious, hurtful stereotypes. It also fosters a sense of admiration for ancient traditions, values and rituals. Sometimes mini lessons would be added to our curriculum, either because they are related to the Intersession, or because I have come across a new creative project, methodology or a topic that I'm sure it'll resonate with my students' hearts. Through the years, there has been a conscious effort to include in the Spanish Curriculum a diversity of topics purposely chosen to help tumble down stereotypes and Eurocentric views of what the Hispanic/Latino community is actually like. ​ A main goal of mine is to show the rich, diverse cultural aspects of the Spanish speaking countries. A culture with strong African an Indigenous roots that have not only deeply influenced our art, food and dances, but also our way of viewing the world. Exposing students to this topics has help me instill cultural sensitivity and introduce cultural etiquette, so necessary in these days of social media communication we are living in. Looking for resources and projects that portray the minorities within larger minority group is done deliberately. The study of Salvador Dali is a surreal trip we take in second grade. It also an opportunity to learn to admire and appreciate people who are very different from us. An opportunity to open our minds to new ways to see the world, to face our fears, to travel to the depths of our minds and explore what is there. Getting to know Dali's persona, his troubled childhood,his teen years, his love for Gala and his antics, move children not only to the understanding of his art, but also to their own personal road of self-discovery. 1973 On September 11th 1973 Chile experienced a coup d'état that ousted democratically elected President Salvador Allende and installed the dictator Augusto Pinochet, who ruled the country with an iron fist for over 15 years.Under Pinochet's reign, thousands were imprisoned, tortured, murdered and disappeared in an attempt to crush all political opposition. A Chilean commission investigating human rights abuses, estimated that there were over 40,000 victims of the military regime, 3,000 of whom were killed or disappeared. The aftershocks if this tragedy are still felt in the country so in order to understand today's Chile, knowing what happened in the past, is essential. Unfortunately Chile has not been the only Spanish speaking country under the oppressive rule of a dictator. Exploring the highlights if this historical event helps students understand the current situation of many countries who have been oppressed in the past. Easter Island which was annexed to Chile in 1888 as a special territory, is not only a fabulous travel destination but also the most isolated inhabited place on earth. The history of the island serves as a cautionary of tale environmental disaster.When the students learn about the island they are not only captivated by the mysteries of this World Heritage Site but they also reflect about a the dangers of overexploitation. ​Last year, first graders were learning about Mexico, but we took a mini break from it to explore an iconic Cuban artist during black history month. The students loved everything about this mini-unit. They were inspired buy the zest and perseverance of Celia Cruz. A woman that endured racism and exile but never lost her love and joy for life. Our little ones saw the older student's Instagram posts and requested to do their own. They were open to directions and suggestions regarding their writing and illustrations. They had learned a great deal about Celia's childhood, music career, immigration to the US, marriage, and much more within the mini unit and also wrote and illustrated facts about her life. Always thinking ahead. This helped me get children ready for their future Frida Kahlo inspired self-portraits. The results were so spectacular that I decided to share their phones and narratives in one of the main hallways in the school. Oh the pride in those little eyes when they saw their work being shared with the community. This first grader captured the spirit of Celia Cruz perfectly, with his Instagram post. Loving the hair flying into the breeze, such freedom. Even the phonecase screams azúcar . See the crown, that's because Celia was the queen of salsa! A Second Language is much better learned when it crosses over other areas of the curriculum. That is why the LS Spanish class has always been very interdisciplinary. Last year, our 4th graders country of study was Chile. They explored the different historical and social consequences of the dictatorship of Augusto Pinochet. Among other topics, they explored the Arpillera Women's movement that was born as a consequence of the military regime oppression and abuse. "During the Augusto Pinochet dictatorship, many Chilean women created complex tapestries depicting the harsh conditions of life and the pain resulting from the disappeared victims of Pinochet’s repression. These tapestries, known as arpilleras, get their name from the Spanish word for the burlap backing they used. However, through their art they came to represent much more in the history of modern Chile. Arpilleras came to symbolize women’s protest against the brutal Pinochet dictatorship. (the disappeared people) and the dictatorship’s violence, as well as the unemployment, food shortages, housing shortages, and other hardships of daily life which were attributed to Pinochet’s rule. Simply preserving this collective memory was itself an act of protest, but creating the arpilleras also empowered the women in other ways. Many women experienced cognitive liberation through their work in the arpillera workshops and became involved in other protests against Pinochet’s regime. They also began to confront machismo in their own homes and in society in general by claiming a wider role for women"
That art can be a powerful mean of communication in times of struggle. They did the Arpilleras about immigration issues that mostly affect the young Latino population in the USA. Their Arpilleras were displayed in one of the main hallways of the school last year. In my opinion, one the best ways to meaningfully connect with a different culture, is cooking and eating typical dishes from that culture. Here, I leave you with two amazing websites with recipes for everybody. Buen Provecho! ​The best way to prevent the language’s attrition is to keep it alive, and what a better way to do it than playing with it! This app on the left is perfect for Spanish Speakers or advanced learners. It helps you build up the skills for reading and writing in Spanish. ​Click on the picture to go to the link . Even though this app has a limited set of activities that can be done for free, this app has great visuals and the pronunciation of the Spanish speaker is native. The site ONLINEFREESPANISH for tablets and iPads. Click on the picture to go to the link . Even though this app has a limited set of activities that can be done for free, this app has great visuals and the pronunciation of the Spanish speaker is native. Click on the picture to go to the link . Great app for alphabet practice. Beautiful visuals and native pronunciation. Click on the picture to go to the link . One of my favorite apps! It provides different activities to practice basic vocabulary. The Spanish accent in this app is from Spain. Click on the picture to go to the link . This is a (teacher) student's favorite because of the games. Especially, the memory games. Click on the picture to go to the link.